At a time when Colorado classrooms are still in need of textbooks and teachers, we must look at all available revenue sources to fund education. One possibility is redirecting a percentage of state lottery funds. Currently, excess lottery revenue is directed to Great Outdoors Colorado (GOCO) and the state conservation trust fund. While conservation and improving Colorado’s parks and trails are a priority, our kid’s education must take precedence. This session, I carried legislation that would have asked voter's permission to redirect a small portion of lottery revenue to the state education fund. Unfortunately, while this was a viable option, Democrats were again unwilling to put schools first and killed this legislation on a party-line vote. If passed, House Concurrent Resolution 1002 would have submitted a measure to the voters at the November election to approve redirecting 10 percent from the conservation trust fund and 15 percent of the GOCO funds to the state education fund. This legislation would have increased education funding by $35 million next year; with the potential for more as lottery revenue increases. Using lottery revenue is not an untested idea. Had my bill passed the legislature and won voter approval, Colorado would have joined 27 other states that use a portion of their state lottery revenues to fund education. In 2015, Arizona directed $84.5 million in lottery revenue to public education, and in 2013, Georgia funded statewide pre-kindergarten and helped send 1.6 million students to college through scholarships funded by state lottery revenues. My bill would not have solved all our education funding issues, but it took a reasonable approach to increasing education funding. Colorado’s economy continues to move forward, but as we have not yet returned to the pre-recession level of school funding, many schools, especially in rural areas, are struggling with the current budgetary restraints. I often hear my colleagues on the left talk about increasing education funding. Yet, unless it involves a tax increase, Democrats are unwilling to support our proposals. While there are only a few weeks remaining in the session, I will continue to fight for Colorado’s classrooms and look for common-sense ways to help increase school funding. Thank you for taking time to read our newsletter, and please let me know if you have questions about this or any other pending legislation. 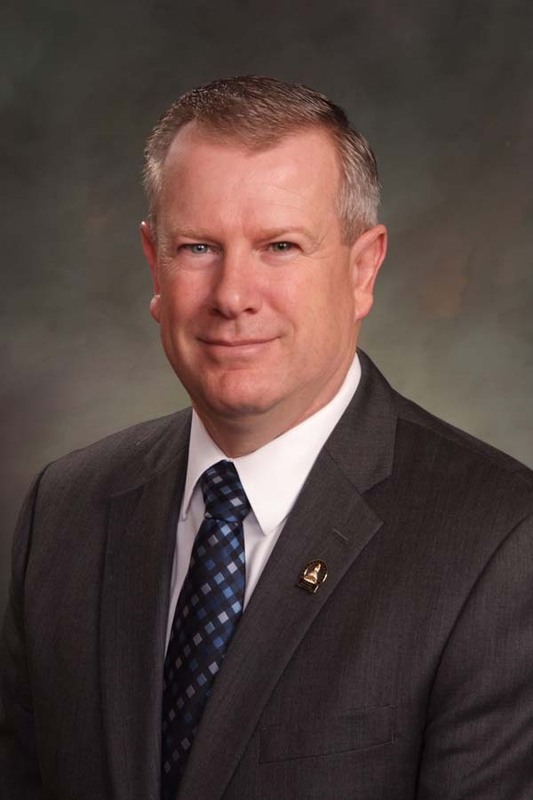 For more information please visit our website at COHouseGOP.com, or connect with us on Facebook, Instagram, Twitter and YouTube. Representative Yeulin Willett (R-Grand Junction) talks about Democrats killing his bills to address teen sexting, and protect legitimate service animals, as well as his part in the climate change debate. Friday we debated a bill burdening private businesses with new mandates. I ran an amendment that would held our government agencies to the same rules in the bill... Democrats insisted on exempting government.. Representatives Lois Landgraf (R-Fountain) and Kit Roupe (R-Colorado Springs) plant trees in their community in honor of Arbor day. Representatives Kathleen Conti (R-Littleton) poses with three Olympians visiting the House Floor. Representative Tim Dore (R-Elizabeth) discusses his bill, House Bill 1454, at press conference on the west steps of the capitol.